Pernicious anaemia of the stomach. Light micrograph of a section through stomach tissue affected by pernicious anaemia. This condition is one of many types of megaloblastic anaemias. 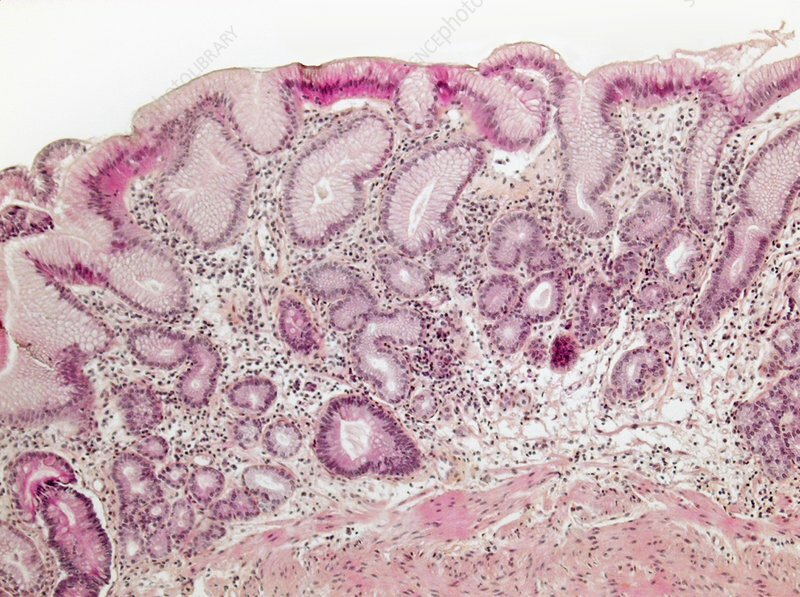 It is caused by loss of gastric parietal cells, which are responsible for the secretion of intrinsic factor, a protein essential for subsequent absorption of vitamin B12 in the ileum (small intestine). Without B12 iron cannot be absorbed into the blood stream. Magnification: x110 when printed 10 centimetres wide.